This website is divided into sections that are completely dedicated to different major Australian holiday destinations for business and leisure travelers. This section is completely dedicated to Melbourne. Here you can find the perfect discounted stay at great rates for many of Melbourne’s best properties in the best locations, whether in the CBD or in the surrounding suburbs. Ideally suited for the leisure traveller or backpacker offering comfortable, convenient and value for money accommodation in the heart of Melbourne city. Accommodation ranges from Economy rooms with share facilities to Standard rooms with ensuite facilities. We are situated close to Telstra Dome, Melbourne Crown Casino, Queen Victoria Market, Melbourne Aquarium, and a short stroll away from Melbourne's major sporting and entertainment venues. About the Special An offer of $120 per night for a fantastically priced Bed & Breakfast Melbourne Accommodation Special. Stay in a Double & Single Standard Room complete with ensuite bathroom, television, telephone, tea/coffee making facilities, ironing equipment and heating/cooling, plus full breakfasts included in this rate! Editor's Comment Really cheap rates for great Melbourne city location. Excellent value for money. Minimum 2 night stay required. Enjoy this great bed and breakfast discount deal for this central Melbourne accommodation. All accommodation rooms and suites have been tastefully appointed in a style that will meet the needs of the most discerning of executives, yet also providing the perfect romantic escape for you and that someone special in your life. The Canterbury Hotel Melbourne is conveniently located at the gateway to the beautiful Yarra Valley and Dandenong Ranges, but is still only 20 mins from the Melbourne CBD. Accommodation in this delightful Melbourne hotel comprises spacious and luxuriously appointed hotel suites, with all of the facilities that you would expect from a Winner of the Flag Choice Excellence Awards for the Best 4 1/2 to 5 Star Property in Victoria and Australia. Oliver's Restaurant, located at the Clarion Hotel, will provide you with a true gourmet experiebce - ideal for formal, conference dining or for that very special occasion. The Melbourne Clarion Hotel offers true luxury that you can afford!! Why not treat yourself to a memorable experience? About the Special 14 Night Clarion Hotel Melbourne Special Stay for a minimum of 14 nights in a One Bedroom Apartment at the Clarion Hotel on Canterbury and receive a fantastic discount off our normal accommodation rates. The perfect accommodation suite for the corporate or business traveller visiting Melbourne. Car parking and local call at our hotel is FREE. Apartment contains queen bedding, ensuite bathroom, washer and dryer, lounge area and kitchenette. Editor's Comment True luxury accomodation at an affordable price. An excellent deal. Ideal for corporate travellers visiting Melbourne. Providing 130 apartments in the heart of the Arts precinct in Melbourne, enjoy this self contained apartment accommodation when next visiting Melbourne CBD. Situated adjacent to the Victorian Arts Centre, the Pacific International Apartments Southbank is ideal accommodation to stay in as you explore the cultural side of Melbourne. Surrounded by superb Melbourne restaurants, cafes, theatres and boutique shopping, and with easy access to Melbourne CBD, why would you want to stay anywhere else? About the Special One bedroom executive apartment with bedroom, separate bathroom, fully equipped kitchen, lounge/dining area, private laundry facilities and cable television. Maximum occupancy is 4 guests. Editor's Comment Fantastic location, close to Victorian Arts Centre and easy walking distance to Melbourne CBD. The Oaks On Collins Apartments is conveniently located in the heart of the Melbourne CBD, directly opposite the Rialto Towers and only a short walk from the Melbourne Aqaurium, Telstra Dome, Melbourne Exhibition Centre, Crown Casino, Federation Sqaure, Bourke St shopping mall and the Southbank restaurant and shopping preceinct. The Melbourne Oaks on Collins provides brand new, luxuriously appointed studio apartment suites and 1 Bedroom apartments which are designed to make your stay in Melbourne memorable, but also very afforable. About the Special This special in a luxuriously appointed Studio Executive Room with full apartment facilities. Guests have a choice of either Collins Street views or rooms with balconies facing St James Lane (request only). There are Tea/Coffee Making Facilities, Kitchen, Air Conditioning, Television. Bedding is 1 a queen bed. Editor's Comment Take advatage of this wonderful special and stay at the Oaks on Collins. Darling Towers serviced apartments Melbourne offers apartment accommodation ranging from studio, one, two and three bedroom apartments to townhouses in and around South Yarra, Melbourne. About the Special This is a great special for a 3 star two bedroom apartment that contains 1 Queen Bed and 2 single beds. The apartments facilities include a Fully equipped kitchen and separate lounge room, Tea/Coffee Making Facilities, VCR, Cable TV, Microwave, Private Laundry Facilities and an Alarm Clock. Editor's Comment This wonderful special will save you up to $82 per night that you stay. Offering modern and spacious apartments in the "Paris End" of Melbourne's famous Collins Street, Pacific International Apartments on Exhibition provides 4-star accommodation ideal for both corporate and leisure tourists visiting Melbourne. Select from our fully self contained one bedroom and two bedroom apartments with kitchen facilities, stereo and TV, cable TV - including 11 channels of Foxtel - pay per view movies, air conditioning and modern furnishings. Located in close proximity to the fabulous shopping centres and arcades of Melbourne CBD, an array of restaurants, cafes, bars and nightlife, entertainment venues and theatres, as well as Melbourne sporting venues including the MCG, Tennis Centre and Telstra Dome. About the Special These chic, modern fully self contained serviced apartments are perfectly located for business or pleasure. Sylish, modern, and spacious, they are only a short stroll to shopping, theatres, restaurants, China town and close to key sporting facilities in Melbourne. Apartment facilities include queen bedding, Tea/Coffee Making Facilities, Kitchen, Direct Dialling Phones, Direct Internet Access, Air Conditioning, Television, In-house Movies / Pay TV, Hair Dryer, Cable TV, Microwave, Wake up Call, Private Laundry Facilities, Alarm Clock, Safe Deposit Boxes, Kitchen facilities, Refrigerator. Editor's Comment Walk to the many Melbourne city attractions from this self contained apartment accommodation. Situated in the heart of Melbourne's thriving business, shopping, restaurant and theatre districts, Pacific International Apartments - Melbourne provides convenient and well appointed apartment-style accommodation that is ideal for both business and leisure travellers visiting Melbourne at affordable prices. Choose from our one and two bedroom apartments that are fully equipped and include kitchenette facilities including microwave (the 2-bedroom apartments have a dishwasher), Foxtel TV, direct dial telephone, individually controlled air-conditioning, ironing equipment and electronic access card security. About the Special Sleeping up to 4 guests, our 2-bedroom loft apartments contain 1 queen bed, 1 single bed and 1 sofa bed in living area. They also have Kitchen Facilities, Tea/Coffee Making Facilities, Direct Dialling Phones, Direct Internet Access, Air Conditioning, Television, Cable TV, Hair Dryer, Microwave, Wake up Call, Alarm Clock, Safe Deposit Boxes. Editor's Comment Stay in the heart of Melbourne CBD at very affordable rates!! Stay at the Comfort Inn & Suites Flagstaff City and enjoy the comfortable and convenient accommodation that is only minutes from the centre of Melbourne CBD. A range of hotel rooms and hotel suites available. Situated close to Telstra Dome, New Quay, Crown Casino, Southgate and the Spencer Street Interstate Bus and Train Terminal. Jump on the Free Melbourne City Circle Tram or wander through the laneways of inner city Melbourne. Catch a show or relax in one of the many restaurants and bars Melbourne has to offer. Stay longer and pay less! About the Special NEWLY RENOVATED STUDIO SUITE WITH KITCHENETTE, INCLUDING MICROWAVE, FRIDGE AND KITCHEN SINK. THE ROOM HAS EITHER A KING SIZE BED WITH SOFA OR A QUEEN AND SINGLE. NICE BIG SHOWER IN BRAND NEW BATHROOM. Editor's Comment Take advantage of this astonishng rate from $125 per night. Situated just 3.5kms from Melbourne CBD, Oaks Griffin Suites provides comfortable and extremely spacious hotel rooms, one bedroom apartments and two bedroom apartments that are suitable for both corporate and leisure visits to Melbourne. Walk to Albert Park Lake, catch a tram to St Kilda, South Yarra, Melbourne Botanical Gardens, Victorian Arts Centre, MCG, Federation Square and Melbourne city centre. About the Special This special is for a beautifully appointed one bedroom apartment with a choice of either king or twin bedding. The spacious apartment accommodation includes full kitchen facilities, a large lounge area that is suitable for small meetings and ensuite bathroom including a bath. Editor's Comment Take advantage of this great special, save $38 per night and stay in the wonderfull St. Kilda. Golden Pebble Hotel is one of the most unique hotels in Melbourne's Eastern Suburbs, housing 36 well appointed accommodation rooms. All modern facilities are provided to be able to cater and satisfy a busy corporate traveller or just as a relaxing getaway for the travelling overnight person. Our attentive, willing and able staff will make all the difference and allow you to feel like you are in a home away from home. We have lifts to all floors, disabled facilities, non smoking rooms and a sheltered drive in porch entrance which were all designed to make your stay more comfortable and care free. Enjoy the culinary delights and ambience of our Golden Pebble Chinese Restaurant for a total dining experience! Editor's Comment 4.5 star luxury accommodation only a half-hour drive from the Dandenong Ranges and Yarra Valley. The North Melbourne Serviced Apartments are a member of the Punt Hill group of serviced apartments. Located just 2 km from the Melbourne CBD, you will be in the heart of Melbourne in minutes via the tram, conveniently located at your doorstep. Punt Hill North Melbourne’s convenient location, superb accommodation and exemplary service ensure that guests are treated to a memorable stay in the exciting city of Melbourne. The hotel is within close proximity to Melbourne’s famous Lygon Street restaurants, Queen Victoria Market, Royal Children’s Hospital, Royal Women’s Hospital and Melbourne University. The accommodation includes a choice of studio, one and two bedroom apartments – ideal for business and leisure. About the Special Stay for 5 nights at the Punt Hill North Melbourne, in the two bedroom apartment for only $157 per room, per night. If you take up this magnificent offer you will save $67 off the normal rate of $224. Darling Towers serviced apartments Melbourne offers apartment accommodation ranging from studio, one, two and three bedroom apartments to townhouses in and around South Yarra, Melbourne Collins Street City Centre and Queen Street, Melbourne CBD. About the Special WINTER SPECIAL - For $110 per night you can book an one apartment located in the heart of Melbourne CBD at Collins Street offering full kitchen, TV, VCR, Foxtel (5 Channels including FoxFooty and CNN), separate bedroom (queen bed) and bathroom. Located close to the MCG, Telstra Dome, Docklands, Federation Square, the cosmopolitan Southgate and Crown Casino. Minimum 3 night stay. Editor's Comment Great Location ,cheap rate, close to Federation square and all the Melbourne City Centre attractions. Also walking distance to Telstra Dome and the MCG - great for the footy!! The Best value one bedroom apartments right in the heart of Melbourne City Centre. Hotel Enterprize,opposite the Spencer Street train station in the heart of the Melbourne city center, truly is the perfect location for both the tourist and business client alike. The accomodation offers a choice of either budget or 4 star delightful period style, the rates are extremely affordable accomadation, while the location is absolutely superb - within exceptionally close proximity to Melbourne City attractions including the Melbourne Crown Casino, Southgate, New Quay, MCG, Telstra Dome, Federation Square and much more. All modes of public transport are just outside the front door.What better way to enjoy your stay in Melbourne? Editor's Comment Cheap budget hotel accommodation. Brilliant Melbourne location! All rooms have ensuite, which you really would not expect for this price. Great value for a great melbourne city location. Providing quality studio apartments in St Kilda, Melbourne, enjoy the spacious and well appointed accommodation that Beaconsfield Beach Apartments offers. This comfortable and affordable apartment accommodation is perfectly situated near the St Kilda foreshore and only a few minutes walk from Acland Street, Fitzroy Street and public transport. Melbourne CBD is easily accessible. Fantastic accommodation for long or short term stays in Melbourne! About the Special Studio apartment with open plan kitchenette, ensuite bathroom and balcony, located close to St Kilda beach and Fitzroy Street in St Kilda, only 5 kilometres from Melbourne CBD. Editor's Comment Stay in cosmopolitan St Kilda in Melbourne surrounded by cafes, restaurants, nightlife and entertainment and only a stone's throw from St Kilda foreshore. Built as a large guesthouse in the late 1800's, we bring you great value, nightly or weekly accommodation, providing affordable, clean and comfortable B&B accommodation for the budget conscious traveller. We have over fifty rooms which vary in size from small budget singles to large double rooms with balconies each well equipped with a colour TV, fridge, microwave, kettle, heater, wardrobe, dressing table and, most importantly, a guaranteed comfortable bed. None of our rooms have en-suite bathrooms but there are plenty of bathrooms located close by in each corridor. At St Arnaud we have very high standards and all rooms are very clean, complete with fresh linen and towels. We have a fully equipped communal kitchen and provide a help yourself continental breakfast of tea, espresso coffee, cereals, orange juice, preserves and toast. You are welcome to use our kitchen and cook for yourself just as long as you are willing to clean up! There's also a large dining room with three fast Internet computers and a large video selection in the cosy TV room, all open 24 hours. Located in vibrant South Yarra, a tram runs past our door, so there is easy access into Melbourne CBD, stroll to the Botanical Gardens, or check out the plethora of restaurants, cafes, shops and entertainment venues along Toorak Rd and Chapel Street which are within walking distance from our Melbourne accommodation. About the Special Twin bunk bed room with comfortable bedding, colour TV, fridge, microwave, kettle, heater when required and wardrobe. None of our rooms have en-suite but there are bathrooms located close by in the corridors. Rate includes 'help yourself' continental breakfast and use of our fully equipped kitchen. All bedding, linen and towels are provided. Editor's Comment B&B accommodation in the heart of trendy South Yarra at affordable prices!! Lifestyle Apartments at Ferntree Gully offer you luxurious and spacious 1 & 2 bedroom apartment accommodation nestled at the foot of the beautiful Dandenong Ranges. Only 10-15mins drive from the Dandenong Ranges National Park, Lifestyle Apartments allows easy driving to all the local tourist attractions like Puffing Billy, beautiful gardens, galleries, the famous WIlliam Ricketts Sculpture Sanctuary and Wedding Function Centres and Healsville Sancturary is only a short 30min drive away as is the Yarra Valley with its plethora of wineries and restaurants. Knox City Shopping Centre is a 5 minute drive down the Burwood Hwy, and offers a huge variety of shops for any retail therapy required! About the Special Our Spacious 1 bedroom apartments feature a fully equipped gourmet kitchen with dishwasher & microwave, all linen and soft towels, direct dial phones with voicemale, separate internet phone line, security intercom with video broadcasting to invidivual apartments, 68cm TV with Foxtel, VCR and Stereo, individual balconies/decks to most apartments with outdoor furniture, air conditioning, breakfast baskets available (extra fee), fully equipped laundry with washing machine and dryer. Daily servicing available. Editor's Comment Luxury and comfort in accommodation near the foot of the Dandenong Ranges. Recharge and refresh at the four-star Hemisphere Hotel in south-east Melbourne. Experience our professional service and modern, spacious four-star accommodation suites. The accommodation includes complimentary in-house movies and corner spas in most suites add a touch of luxury. Room service menus, twenty-four hour reception, free onsite car parking and a range of business services combine to make your stay memorable. When visiting Melbourne, enjoy your stay at the luxurious executive style accommodation at the Hemisphere Conference Centre & Hotel. About the Special Rates are per room for two people in a queen bed. Max four per room. Our modern rooms offer queen sized sofa bed, bathroom with spa bath and separate shower, air-conditioning, heating, ISD / STD telephone, ergonomic work area & modem point and in-house movies. Editor's Comment The Deluxe suite provide wonderful value for money accommodation. Albert Park Manor offers you peace and tranquillity, yet is right in the heart of Melbourne's business district, with trams stopping right at our doorstep to take you into the City or to St Kilda beach within minutes. Albert Park Manor Boutique Hotel offers a selection of accommodation to suit a range of budgets and tastes. Each room is individual, varying from budget, family, to a luxury suite containing a separate spa room in which to relax and pamper yourself. All rooms, from the presidential to the budget, have been elegantly decorated to help make your stay memorable and enjoyable. About the Special Double room with ensuite facilities Some rooms have four poster or Half tester bed Brocade furnishings. Marble top Entertainment cabinet with T.V. Bar Fridge and Tea making. Editor's Comment This great offer is from $81 per night, for a minimum of 2 nights. 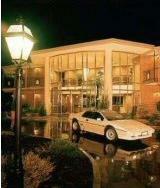 The Hotel Claremont provides accommodation which offers you great value for money. The uniquely restored 1886 Victorian building, is now a budget hotel and guesthouse, located in the heart of Melbourne's most chic and trendy suburb, South Yarra. Cafés, restaurants, shops, cinemas, gallerias, pubs and clubs surround you with easy access to the city centre by tram or train. With the Hotel Claremont, a 3 Star Guest House, cheap accommodation in Melbourne has never been so good. About the Special Clean and comfortable, non-smoking room featuring double bed, colour TV, telephone, heating and cooling (fan), clothes hanging rack, desk & chair, and bed linen. Ample clean bathrooms located in the corridors. FREE parking during May, June & July (if available). Editor's Comment Stay in this accommodation for only $72 per night, saving 6 dollars for every night you stay. Clyde Apartments provide affordable and self contained one bedroom apartments in the bayside suburb of St Kilda in Melbourne, only 5 kms from the Melbourne CBD. Public transport is easily accessible, and walk to the huge variety of restaurants, bars, cafes and boutique stores located throughout St Kilda including Acland St and Fitzroy St. Walk along the St Kilda foreshore before relaxing in this comfortable apartment accommodation. About the Special Large one bedroom apartment featuring a well equipped stainless steel kitchen, large open plan living area and terrace balcony. Editor's Comment Excellent apartment accommodation in bayside St Kilda, only 5 kilometres from Melbourne CBD. Luxury apartment accommodation located in the Docklands of Melbourne. Choose from one bedroom and two bedroom apartments that are fully self contained and ideal for short and long term visits to Melbourne CBD. Whether its for an AFL match at Telstra Dome, or an extended corporate visit, Docklands Apartments @ Watergate have the Melbourne accommodation to suit your requirements. About the Special This fully furnished luxury apartment includes a spacious lounge and dining area with an entertainment unit, including a CD stereo system and TV/VCR or DVD. The accommodation also includes a fully equipped kitchen featuring European appliances including dishwasher, microwave, fridge, oven and stove. Other features include beautifully appointed bathrooms with bath/shower, internal laundry, private balcony and security intercom. 1 reserve carpark is included in the price. Editor's Comment This spectacular apartment accommodation has a perfect position on the corner of Bourke Street West and Waterview Walk. Located only a 20 minute drive of Melbourne CBD, the Parkside Inn Motel and Conference Centre is a purpose built complex perfect for conferences, meetings, seminars, board meetings, training sessions and corporate functions with a range of quality 3.5 star motel accommodation available. Choose from a range of budget, standard, spa and apartment style rooms. Our motel is within close proximity to Bundoora Park, a 180 hectare park that is home to the Bundoora Park Public Golf Course, a children's adventure playground and Cooper's Settlement - incorporating a Wildlife Reserve, Urban Farm and Heritage Village. Editor's Comment Motel accommodation north of Melbourne CBD that will suit single travellers, couples and families. This grand Georgian Mansion, built in the 1860s, still preserves its original character, however, a complete refurbishment has been carried out internally. This four star boutique apartment complex has been designed to offer pure comfort and warmth in apartment accommodation. Each of the twelve Melbourne apartments have been tastefully decorated and include brand new porcelain-tiled ensuites, fully contained kitchenettes including dishwasher, microwave, fridge and electric stove to make your accommodation comfortable yet practical. About the Special Fully self contained kitchen with all mod cons including dishwasher, fridge, microwave, and electric hotplates. Aircon/Heating, ironing equipment, TV and DVD Player, Telephone and Free wireless internet use. Guest Laundry available on site. Editor's Comment This is a great rate for a fully self-contained, luxury boutique serviced apartments located in the heart of St Kilda. Stay in 5-star luxury hotel accommodation at The Como Melbourne in South Yarra. Providing a range of deluxe hotel suites and studio rooms, this Melbourne accommodation is close to Toorak Road and Chapel St boutique shopping, Melbourne Botanical Gardens, MCG, Yarra River, with a huge range of restaurants, bars and nightlife within walking distance. About the Special This wonderfully spacious room consists of an ensuite and 1 king bed. With this special, Twin beds are available on request. The room includes Tea/Coffee Making Facilities, a Refrigerator, Air Conditioning, Television, In-house Movies / Pay TV and Safe Deposit Boxes. Editor's Comment This studio room is set only 3 kilometres from the central business district. The Como offers guests a luxurious retreat from the pressures of travel and easy access to some of the city's major attractions. The Hotel Claremont Melbourne South Yarra is a tastefully restored 1886 Victorian Guest House, offering discount Melbourne accommodation for the budget conscious traveller. Our non-smoking guest house rooms are serviced daily and contain a Color TV, Telephone, heating and fan cooling and clean bathrooms located nearby. We also provide complimentary tea & coffee at all times an breakfast for $4 per person per day. The Hotel Claremont is located in the heart of South Yarra, Melbournes style and fashion capital, and is only 100 metres from the famous Chapel Street. We are ithin easy walking distance of cafes, restaurants, shops, cinemas, galleries, antiques, pubs and night clubs. The South Yarra train station and Melbournes world famous trams are also right on our doorstep. This provides you with easy access to the Melbourne CBD, Melbourne Tennis Centre, MCG, Crown Casino and Southbank precinct. Hotel Claremonts fabulous location and affordable prices makes it the perfect for those people looking for budget Melbourne accommodation. About the Special Stay 5 nights in a Twin Bunk guest house room and get a special discount rate. Perfect for the budget conscious traveller. We are within walking distance of the trendy shops and restaurants of South Yarra, and public transport which can take you to the Melbourne CBD, Tennis Centre, MCG, Royal Botanic Gardens & Albert Park Grand Prix Circuit. Hotel Claremont's facilities include an Internet Room, Guest Laundry, 24hr reception, Complimentary tea & coffee & $4 breakfast per person per day. The Cosmopolitan Hotel is one of the newest in contemporary hotel style rooms and serviced apartment living in St.Kilda. The Cosmopolitan has 86 brand new modern, refurbished hotel rooms and serviced apartments available. We pride ourselves on professional, yet relaxed service. We offer 24 hour Reception. The Cosmopolitan Hotel is completely equipped with all the very latest amenities as your comfort is our number one priority. About the Special FREE secure off street parking. All rooms are non-smoking. Newly Renovated suites have air-conditioning, Flat Screen TV and much more Rates are per room for two people with a queen size bed and two single beds. Maximum of four people per room Eacj extra person is $30.00 per night. Editor's Comment Take advantage of this great rate with a minimum stay of only 2 nights. The Clarion Suites Gateway offers luxurious apartment accommodation in a wonderful, central Melbourne CBD location. Our stylishly appointed apartment suites provide excellent accommodation at very affordable, discount rates. The Clarion Suites Gateway is only a few minutes walk from the Telstra Dome, Crown Casino entertainment complex, Federation Square and the many restaurants and shops in Melbourne's famous Southbank district. About the Special Most of our One Bedroom Apartments have a balcony and river views across to Fire Display at Crown Entertainment Complex. The room facilities include Tea/Coffee Making Facilities, Air Conditioning, Television with In-house Movies / Pay TV, Microwave, Refrigerator and more. Editor's Comment This is a spectacular opportunity to save up to $163 per night. About the Special The Standard Room includes an open plan studio style room. These newly renovated rooms create a light and airy feel. Queen size bed with pillow top mattress to ensure a restful sleep. Moveable bedside lamps, a comfortable sofa with coffee table, an executive desk with high speed internet, and functional bathroom which features shower over bath. Editor's Comment From only $100 per night, this $87 saving will ensure that your stay is reasonably priced!! About the Special These One bedroom fully self contained apartments have a queen bed, ensuite bathroom and a full kitchen. There is a single sofa bed in the living area. Relax in our Reading Room, free use of Gym equipment. All apartments are NON SMOKING. Editor's Comment This great saving of $90 will ensure your stay is enjoyable and economical. The Royal Albert apartments in Melbourne provide accommodation in one and two bedroom apartments. Each apartment has a fully equipped kitchen with a dishwasher and other amenities and an ensuite with washing machine/dryer. The apartments have a security entrance, free security parking, TV, direct dial IDD & STD telephone, individual reverse cycle airconditioning, iron & ironing board. Facilities include a pool and a lift. The accommodation wonderfully positioned close to public transport, 1-2 minute walk from the tram and a 5 minute walk from the train station. About the Special One bedroom apartment with queen bedding, private bathroom and fully equipped kitchen. Situted close to St Kilda beach, shopping on Acland and Fitzroy streets, numerous restaurants and public transport. Included in the accommodation is secured undercover parking, laundry facilities and a swimming pool on site. Editor's Comment A wonderful opportunity to save $83 ebvery night you stay. Docklands Serviced Apartments has 2 locations in Docklands, NewQuay and Watergate, in Melbourne CBD. Both properties offer a range of 1, 2 and 3 Bedroom apartments. All apartments have a fully equipped kitchen and laundry, combined lounge/dining, colour television, DVD or VCR, Foxtel (NewQuay only), stereo, direct dial telephone, Air conditioning, private balcony and free car parking and access to an outdoor heated lap pool and gymnasium. Luxury 4.5 star apartment accommodation close to all Melbourne city attractions and public transport. About the Special Two Bedroom Apartment - All our apartments have a Queen size bed in the master Bedroom along with an ensuite bathroom, the 2nd Bedroom has a double bed with a separate bathroom, and there is a full kitchen, dining/lounge room and private laundry facilities. There is a supermarket, newsagency, bottleshop and cafes, restaurants and bars within the complex for guest convenience. Editor's Comment Luxury self contained apartments many with views of Melbourne CBD and Victoria Harbour. Whatever your needs may be, whether business or pleasure, the team at Comfort Inn Dandenong will endeavour to surpass all your expectations of accommodation in Melbourne. With quality & comfort in mind, choose from a wide variety of accommodation, ranging from Standard suites through to Family, Spa and Luxury suites. The accommodation includes a heated indoor swimming pool and spa, sauna and gymnasium, free on-site secure car parking, business centre with high speed internet access, 24-hour reception, concierge and room service and convenient guest laundry facilities or services. About the Special The Deluxe room has a Queen size bed and large Double Corner Spa. Maximum of 2 people only, any additional bedding or guest incurs a charge. Includes late checkout, full use of all facilities incl pool, spa, sauna, gym & FREE parking. Editor's Comment This is a great saving of $41 per night on your melbourne accommodation. Abacus Apartments is Melbourne’s new & innovative serviced apartment operation. The apartments include 4 star Townhouses and one, two and three bedroom apartments. The apartments are perfectly situated in the premium part of South Yarra. All apartments have a state of the art, fully-equipped kitchen with leading brand appliances - oven, cooking range, microwave, dishwasher, granite benchtops, glass splashbacks and more. Abacus Apartments is committed to excellent service so as to ensure that your stay in Melbourne is both relaxing and comfortable. About the Special This special offers accommodation in brand new one bedroom apartments with fully self contained ultra modern kitchen with dishwasher, oven, cooktop, fridge and freezer. Separate lounge with stylish furnishings, direct dial telephone and fax machine, flat screen TV, DVD/CD player and air conditioning. Editor's Comment The discounted rate from $169 per night ensures that you wwill save up to $90 for every night you stay. About the Special This special offers you a brand new one bedroom apartment. The apartment has a fully self contained, ultra modern kitchen with dishwasher, oven, cooktop, fridge and freezer. There is a separate lounge with stylish furnishings, direct dail telephone and fax machine, flat screen TV, DVD/CD player and air conditioning. Editor's Comment This splendid one bedroom apartment is great value for money. This all suites hotel is centrally located in the heart of Melbourne and offers deluxe accommodation and quality hotel facilities for both corporate and leisure travellers. With Melbourne's business and shopping precincts just a few minutes away, Pacific International Suites Melbourne is the perfect accommodation for both extended and overnight stays. About the Special When you stay in our Club Suite you will find waiting for you in your accommodation a welcome basket comprising plunger coffee, chocolate and slippers. The apartment includes a dedicated desk area, beautifully appointed kitchen, 68cm flat screen TV in bedroom with Video / DVD player, and many more features. The bedding is 1 king bed. Editor's Comment There is only a limited number of the exclusive club suites are available. Established in December 2005, Urban Central Backpackers is one of Melbourne’s newest accommodation properties, offering the very latest in facilities and comfort for the budget conscious traveler. Centrally located in Melbourne’s vibrant Southbank precinct, Urban Central is the perfect starting point for the backpacker to uncover everything Melbourne has to offer, with most attractions just a short stroll or tram ride away. The accommodation is wonderful; each room has a maximum of 4 beds offer air-conditioning/heating, and large personal lockers, complementary breakfast, all day tea & coffee, linen & towel. We also have a huge funky bar, and public transport at the door. Stay and play at Urban Central! About the Special Included in this wonderful special is a FREE breakfast for each person, linen & towels provided, FREE tea & coffee all day and FREE luggage storage. This room contains a Double Bed, ensuite bathroom, lockers, individual security swipe cards, air-conditioning and heating. Linen and towels are provided and the room rates include a FREE breakfast per person. Editor's Comment A great opportunity to find cheao accommodation at reasonable prices. Flagstaff City Motel is close to all the wonderful attractions of the city centre, including the Melbourne Cricket Grounds (MCG), Melbourne Tennis Centre, Royal Botanical Gardens, Southgate along the Yarra River, the new Quay, Crown Casino, Spencer Street Interstate Terminal and much more. Melbourne Airport is only a short drive away and tour buses, both pick up and drop off at the Flagstaff City for any attractions outside Melbourne. About the Special For cheap $85 rate, get a bargain when you book online for a standard double hotel room (ensuite), with facilities including fridge, remote control TV, air-conditioning, heating, coffee/tea making facilities and toaster. Editor's Comment Cheap Rate for a hotel in Melbourne CBD. For accommodation in Melbourne, you can't go past the Punt Hill Apartment Hotels and Serviced Apartments. Providing excellent rates at 7 perfect locations in Melbourne including the Flinders Lane in Melbourne CBD, famous St. Kilda Road, the vibrant and trendy suburbs of South Yarra and Armadale, city fringe suburb of North Melbourne and brand new Burwood. About the Special Why stay anywhere else when Punt Hill Flinders Lane in Melbourne CBD have the ideal location and perfect apartment accommodation? Great Melbourne accommodation deal in a self contained studio apartment in the heart of Melbourne city. Minimum 5 night stay required. Each serviced apartment is open plan with queen bedding, living area, kitchen facilities and ensuite bathroom. Broadband internet access is available from the comfort of your apartment. Excellently situated in the heart of Melbourne city centre amidst an array of shopping arcades, restaurants, cafes, entertainment venues and easy access to public transport. Editor's Comment Great value for money apartment accommodation if you need to stay in the heart of Melbourne! City Edge apartments offers 2 locations in East Melbourne for 2 & 1 Bedroom serviced apartments. Centrally positioned and offering excellent accommodation, it is within walking distance of the Melbourne city centre, restaurants, shops, attractions, public transport and magnificent gardens. About the Special Stay a week and get this special rate! Comfortable and spacious one bedroom apartment, great for business travellers or stay with the family. Each apartment has Foxtel and a DVD player and will be serviced twice per week. Free on site car parking is available and public transport is easily accessible. Walk through the Fitzroy Gardens, stroll up to the MCG or hit the shops along Smith St Collingwood or Bridge Rd Richmond. .
Editor's Comment Friendly helpful reception staff. Delightful, green, leafy location. Ideally located for footy fans - I loved to be able to step out the door and just walk to the MCG! Shoan Heights Apartment Hotel Melbourne is situated in the heart of Melbourne's exciting CBD, surrounded by a myriad of theatres, restaurants, cafes, sporting venues, galleries, department stores and glorious parks. Melbourne's free City Circle tram stops within leisurely walking distance, giving you easy access to the city's extensive tourist attractions. About the Special Available at a special cheap rate of $99 is a hotel room double or twin accommodation for 2 people in a Queen bed. Tea/Coffee facilities, TV/VCR, fridge, desk, ensuite (no bath), heating, cooling and more. FREE use of laundry, gym, sauna, steam room, BBQ, videos. Editor's Comment Fantastic Melbourne CBD location on Little Bourke Street. Airport motel and convention centre Melbourne Airport is only minutes from Melbourne Airport and 20 minutes from Melbourne CBD. It offers value for money, service and facilities to cater for leisure, family, business and conference guests with a variety of accommodation options like standard rooms, family rooms, luxury double spa suites, executive suites and serviced apartments (fully equipped kitchen). Facilities also include 24 hour 7 day reception, FREE Melbourne airport transfers, onsite restaurant, budget short and long term car parking, heated outdoor swimming pool and spa. About the Special It makes economical & common sense to stay with us next time you travel! For only $139 get 4 star motel accommodation, continental breakfast, Transfers to and from Melbourne Airport & secuity parking for up to 7 days. Great value airport accommodation doesn't get any better than this. Editor's Comment The Cheapest short term accommodation close to Melbourne Airport. Accommodation at the Jika International Hotel Melbourne comprises of either standard or superior hotel rooms including FREE continential breakfast for 1 or 2 people. Situated 5kms from the Melbourne CBD, close to the MCG and only a short walk to the picturesque Fairfield park boathouse and Yarra River the Jika International Hotel is great value for money accommodation in Melbourne. About the Special The Superior Hotel Room has a queen bed. It was recently refurbed with modern decor. The accommodation includes shower and bath ensuite with Guest Amenities including a hair dryer, electric blanket, heating & airconditioning, a remote control colour TV, 3 free latest release in-house movie channels, mini bar, tea and coffee making facilities and more. Editor's Comment This wonderfull offer includes free breakfast for 1 or 2. The Elizabeth Tower Hotel Melbourne offers hotel accommodation rooms for the business person and tourist alike. This Melbourne hotel is conveniently located at 792 Elizabeth Street, and is just 1km from the Melbourne CBD. Melbournes famous tram run past our door, ready to take you to Southbank, Crown Casino, Arts Centre, Melbourne Central, Tennis Centre, the Zoo, the Exhibition Buildings, the State Museum, Flemington Racecourse and the Melbourne Show grounds. The Queen Victoria Market, Melbourne University, Royal Melbourne Childrens Hospital and Lygon Street are also within easy walking distance from our hotel. Accommodation in this delightful Melbourne hotel comprises of a pool, bar area, a-la-carte dining room and FREE undercover car parking. Spacious and well appointed hotel rooms are equipped with all the facilities required to ensure a very pleasant stay. About the Special Located in Melbourne close to the CBD, Queen Victoria Market and the many shops and restaurants in the Southbank preceinct. This discount Melbourne hotel accommodation is only available for a limited time. FREE undercover parking at our hotel. Great Value for money accommodation in the heart of Melbourne. The Tullamarine Melbourne airport hotel offers luxury accommodation close to Melbourne Airport and 24-hour shuttle bus service providing pick up and drop off at your airline point. The hotel offers 24 hours reception, a fully licensed A La Carte Restaurant and two tastefully decorated fully equipped convention / reception rooms that will compliment your special occasion. About the Special Red hot deal (Single Rate) for only $120 for a large suite with kitchenette, separate ensuite, french doors opening to pool and gardens. All hotel rooms have queen size beds plus a separate single bed. FREE use of the pool and spa, new release in-house movies. Restaurant and Cocktail Bar Open 7 days a week. 8 Channels of Foxtel available. Editor's Comment Quality hotel/motel accommodation close to Melbourne Airport. Great rates! Free Foxtel in all rooms. Ciloms Airport Motel is only 2 minutes drive from Melbourne Airport and boasts beautifully appointed suites, A La Carte Restaurant, 24 hrs Reception, courtesy bus to and from the Airport. With space and flexibility to accommodate a broad range of conferences, functions and meeting requirements Ciloms is the perfect choice for your next special event. Relax and unwind at the indoor swimming pool, spa and sauna, or work-out in the gym. Whether you are on vacation, holidays or business trip, this hotel is sure to please. 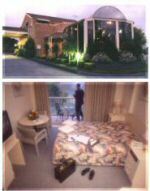 About the Special For the best accommodation near Melbourne Airport, book a standard room with queen size bed from $105 per night that includes airconditioning, hairdryer, iron & ironing Board, smoking & non smoking rooms, Fax/Modem line, tea & coffee making facilities, courtesy transfers to and from Tullamarine airport, FREE use of indoor heated pool, gym and sauna. Editor's Comment Good, clean accommodation close to Melbourne Airport with excellent facilities. Staff are friendly and helpful and the courtesy bus is great. Hotel Charsfield is a fine example of early St Kilda Road Victorian architecture that is classified by The National Trust. This boutique 4 star accommodation combines the warmth and character of the building with professional and friendly service to ensure the experience on offer is as unique as the guests who stay here. So whether you are a business traveller, conference delegate or on holiday, Hotel Charsfield is the ideal choice for accommodation in Melbourne. About the Special For as little as $135, stay overnight in a beautifully appointed deluxe room which has been recently refurbished. The room has TV with Foxtel, Radio/Alarm, Tea and Coffee making facilities, AC/Heating, Mini Refrigerator, Data-ports and Direct Dial Telephone. of Course, the FREE use of gym, spa and steam is also included. Editor's Comment Good value for a refurbished room on St Kilda Rd. The Crest on Barkly Hotel / Motel offers three and half star luxury accommodation in St Kilda Melbourne and is conveniently located right behind the No. 1 St Kilda Road Melbourne, close to the Melbourne city centre, Southbank, Melbourne Crown Casino, Arts Centre, St Kilda Luna Park, Toorak Rd, Chapel Street and the famous restaurant strip of Fitzroy Street, St Kilda. The Grand Prix circuit, Albert Park Lake and Golf Course are all at your doorstep. Accommodation in this delightful Melbourne Hotel comprises Sauna, Cocktail Bar, Undercover parking, Off Street Coach parking, A-la-carte dining room, Function and conference rooms. Spacious and luxuriously appointed hotel rooms are equipped with all the facilities required to ensure a very pleasant stay. About the Special Spacious and luxuriously appointed double hotel room featuring Queen bed accommodation and equipped with all the hotel facilities required to ensure a very pleasant stay. Aston Apartments Melbourne offers discount serviced apartment accommodation in South Yarra & St Kilda. The South Yarra apartments are nestled in a quiet residential area only a short stroll from the major Melbourne shopping precincts & factory outlets of Chapel St, Bridge Rd and Toorak Rd .The location is absolutely perfect only 3.5km from the Melbourne CBD,close to public transport and to all that trendy South Yarra has to offer including the nightlife, restaurants, nightclubs, bistros, bars & quality shops. Aston Apartments, St Kilda are fantastically located only minutes walk to St. Kilda beach & Albert Park Lake.What better way to enjoy Melbourne's balmy spring than strolling around Albert Park Lake or St KIlda beach, tasting Melbourne's famous cafe culture or the nightlife for which this area is famous? About the Special Studio Double Accommodation in South Yarra. Double bed with ensuite and kitchenette. Walk to Toorak Road and Chapel Street for Shopping. Close to restaurants, Parks, and Public Transport - Tram or Train ride to MCG, Tennis Centre and the city. FREE Security off street Car Parking. Editor's Comment What a great deal!! Budget accommodation in South Yarra.